Psyllium, or Plantago ovata, has gained importance all over the world due to its medical properties as a natural remedy for constipation. It contains a soluble fiber found in bulk-forming laxatives such as Metamucil. The plant exists as a shrub, found all over the world, but cultivated mainly in India. Psyllium fiber is derived from the husk of the seeds of the plant. It is highly soluble in water and forms mucilage, which acts as a laxative purely due to the mechanical effects the fiber bulk produces in the large intestine. The mucilage consists of arabinose, xylose, galacturonic acid, semi-drying fatty oil and a small amount of aucubin. Psyllium is available in dry seed or husk form, to be mixed with water as needed. It is also available as tablets, capsules and wafers, among other forms. In 1998, the U.S. Food and Drug Administration authorized the use of a health-claim label in food and dietary supplements containing psyllium. In a study published in “Best Practice Resource. Clinical Gastroenterology,” it was found that psyllium might be helpful in alleviating chronic constipation in patients. Psyllium slows the passage of stools in the colon, so it is helpful in the treatment of diarrhea. 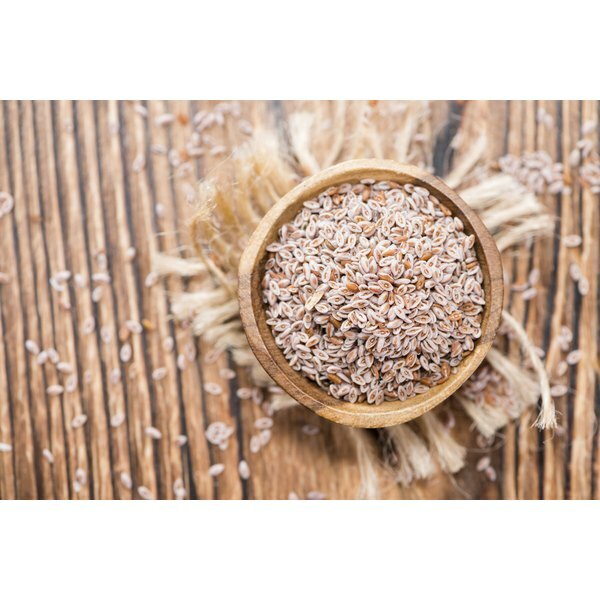 Intake of limited quantities of psyllium has been found to be useful in inflammatory bowel disease, or IBS, but you need to work closely with your doctor to determine the amount of fiber right for you. An article published in “Current Opinion in Lipidology” reported that soluble fibers such as psyllium help in reducing LDL, or bad cholesterol, and increasing the levels of HDL, or good cholesterol. Psyllium forms a gelatinous mass after mixing with water and thickens quickly. If you intend to take psyllium for constipation, you should mix ½ to 2 tsp. of husk powder with a cup, or 8 oz., of warm water taken first thing in the morning or before going to bed at night. Your physician might recommend higher doses for conditions such as IBS. Children, however, should receive their fiber from their diet, and you should avoid giving them extraneous fiber. Supplements might have side effects or interact with other medications, so it is necessary that you take any supplement only under the supervision of your doctor. Always take psyllium with a lot of water to avoid choking and drink at least eight glasses of water a day to avoid constipation. If you have any problems swallowing, you should not take psyllium. Always take psyllium one hour before or two to four hours after any other medications. Psyllium, like any other bulk-forming fiber, might cause gas and bloating. You should not take psyllium if you have kidney disease. Shariq Shamim began writing in 2001 as a guest columnist for the "Times of India." During medical school, he wrote for the "Student Lancet." Shamim holds an M.D. from the University of Missouri School of Medicine.